Bring a lawn chair and enjoy live jazz entertainment in the park in celebration of Jazz Appreciation Month from 2:00 to 6:00 p.m., Sunday, April 8. The performances take place at Chapin Park, located at the corner of Kings Highway and 16th Avenue North. 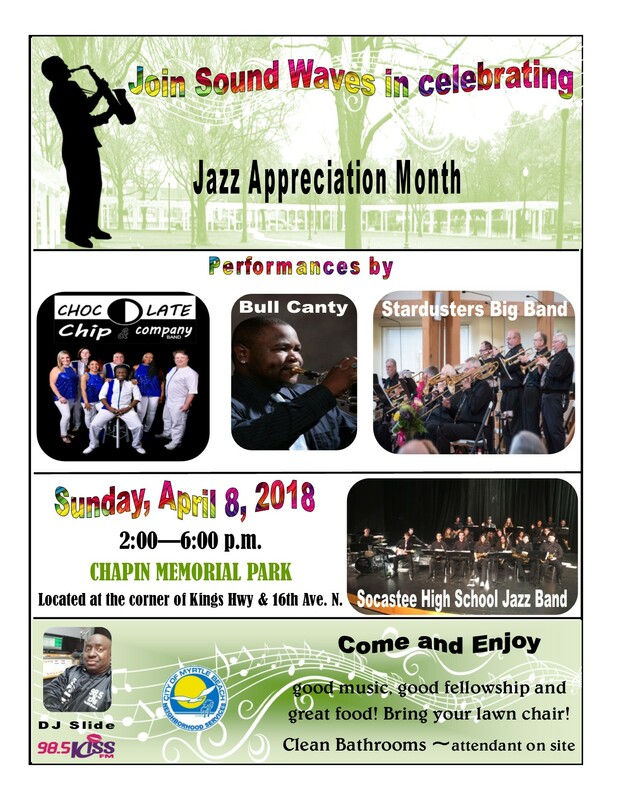 The free event includes performances by Chocolate Chip & Company Band, “Bull” Canty, Stardusters Big Band and the Socastee High School Jazz Band! Questions? Call 843-918-1062 for information.